A picture is worth a thousand words, they say, and that’s especially true on Facebook. Social media is extremely image-driven. 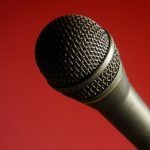 To evangelize through that medium, you need a short pithy statement and a dynamite image. So, to spread the message of the good news about Catholic marriage, I’ve prepared a series of memes to go with each chapter of my book The Four Keys to Everlasting Love. 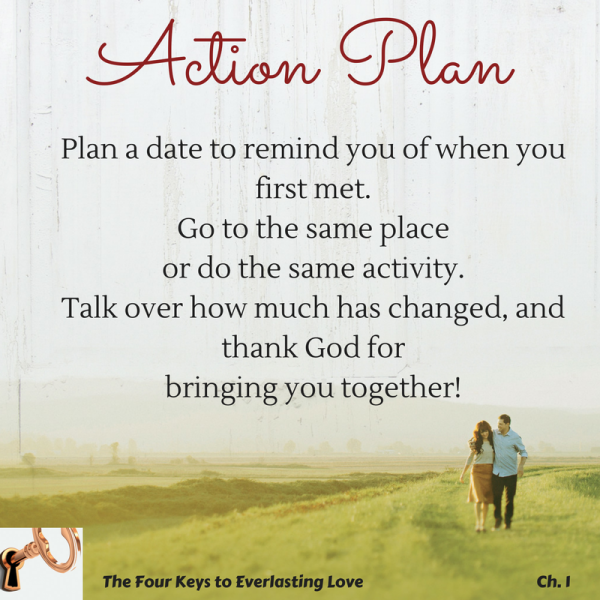 Chapter One focuses on overcoming the differences that divide spouses so that two may become one. Each of these memes is based on content from Chapter One. Feel free to download them and share them widely. 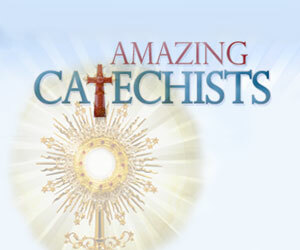 Karee Santos is a happily married mom of six and a popular writer and speaker on Catholic marriage. 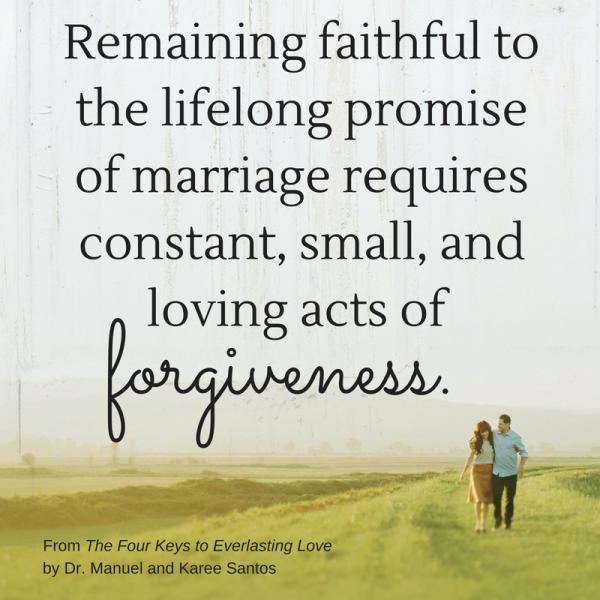 Karee and her husband, Manuel P. Santos, M.D., began teaching marriage preparation and enrichment classes in New York City in 2003. 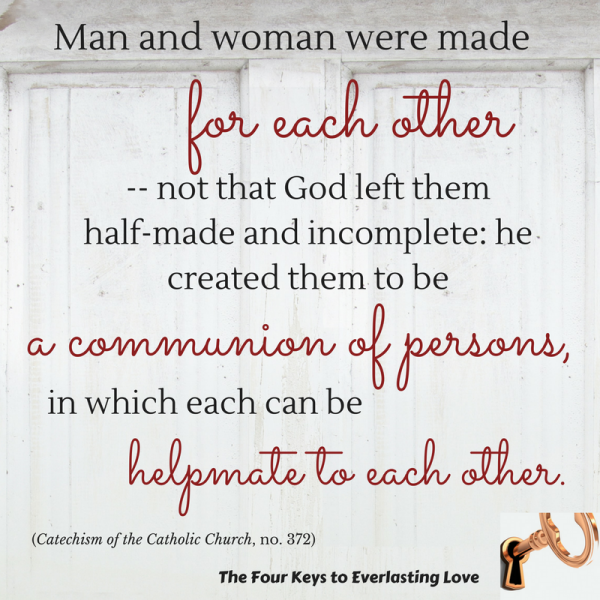 They are also co-authors of The Four Keys to Everlasting Love: How Your Catholic Marriage Can Bring You Joy for a Lifetime (Ave Maria Press 2016). Karee's writing can be found on her personal blog Can We Cana? as well as many other places around the Web.